A 1x12 combo that's at home anywhere, and lightweight enough to travel with ease. 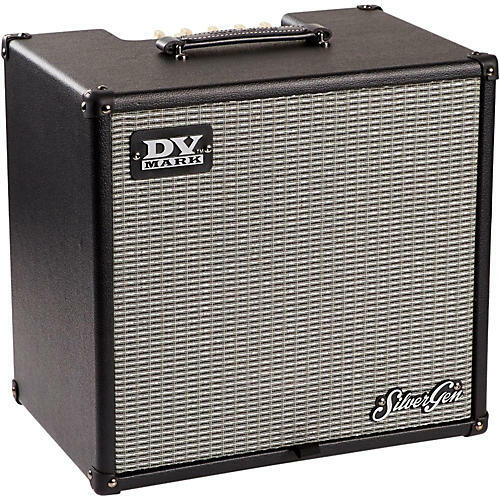 The DV Mark DVC Guitar Friend 12 is a powerhouse 12-in. combo that will soon become a loyal friend to you and your guitar. It features two channels (clean/lead) with very easy-to-use controls, reverb, aux in jack (for CD or MP3 player) and a 1/8 in. headphone jack, along with an XLR Line Out to run your guitar amp through the P.A. for bigger gigs. The DVC Guitar Friend 12 delivers a classic tone, focused sound and 50W of power in an ultra-compact and ultra-transportable design. The Dual Voltage Switch 120V/240V allows to use the amp in countries with different voltages!